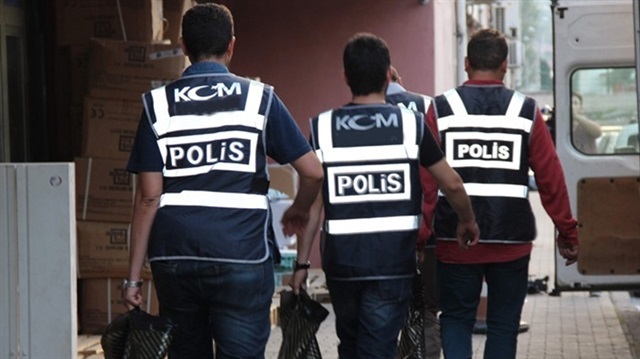 A total of 59 police officers among them police chiefs and inspectors, were arrested for using ByLock, a smart phone application that authorities believe is a communication tool between members of the Gülen movement, the state run Anadolu news agency reported on Saturday. Turkish government claims that ByLock is the top communication tool among members of the movement, which it accuses of masterminding a coup attempt on July 15. Critics, however, have blasted the government for detaining thousands simply for using a mobile application. An Istanbul court ruled on arrest of 59 out of 60 police officers who were detained as part of a government crackdown againt the movement, on Saturday. Tens of thousands of civil servants have either been dismissed or arrested for using the application. Critics also say the use of a technological application is not a criminal activity nor is it evidence of membership in a terrorist organization. A letter sent by Turkey’s Security Directorate General to all police units in the country tells police officers to secure confessions from individuals who have been detained due to their use of ByLock because mere use of the application is not considered a crime, according to a report on Oct.1 on the tr724.com news portal. A high criminal court in Hatay province recently rejected an indictment prepared on members of the so-called Fethullahist Terrorist Organization (FETÖ), a term used by the Turkish government to describe the Gülen movement, saying that there is no such terrorist organization officially identified. The same court also said use of the ByLock application alone cannot be considered a crime. The court added that it is not known when the suspects downloaded the application, with whom they communicated using it and what the content of their conversations was, saying that they cannot be accused simply for downloading ByLock.